The Gull-billed Tern is a large, solid-looking tern. The bill is thicker and sturdier than that of similar species such as the Sandwich Tern. Contrary to what you might think it is an insect-eater! The Gull-billed Tern has a black and short beak. 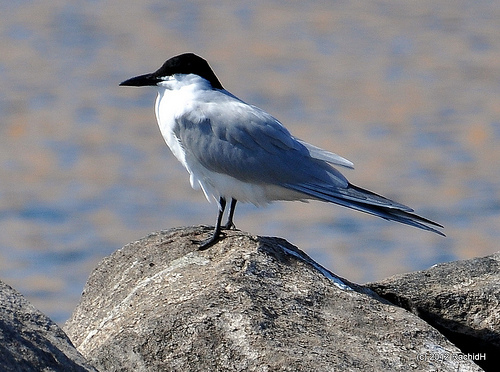 The beak of the Sandwich Tern is longer and has a yellow tip. The Sandwich Tern dives into the sea, looking for small fish. 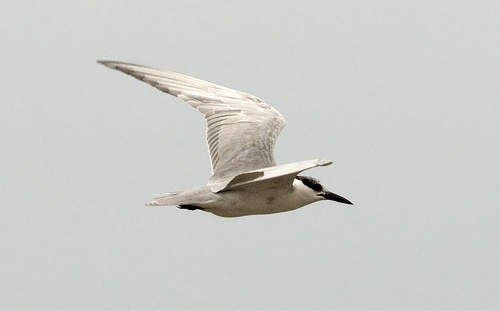 The Gull-billed Tern hunts above lakes for insects.